Food can continually be added during the grinding process. 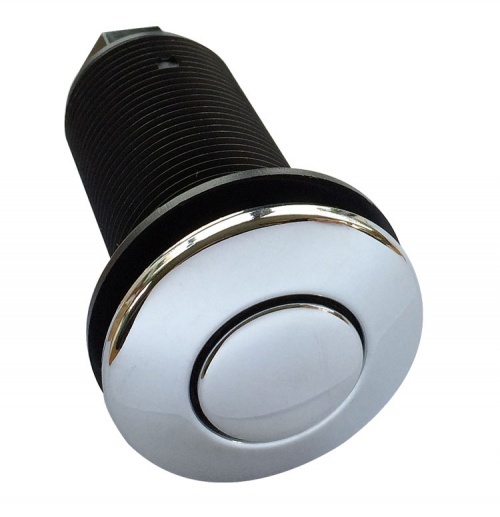 Optional Built-in Air Switch (push button fitted into worktop) - see last image gallery. New 'Elite' Model 1780 - Continuous Feed with Improved Motor! Here are dimensions of the WasteMaid 1780 model in comparison to other models in the current WasteMaid range. Measurement 'C' is often an important factor in choosing a model, and depends upon how much cupboard space there is underneath your sink. 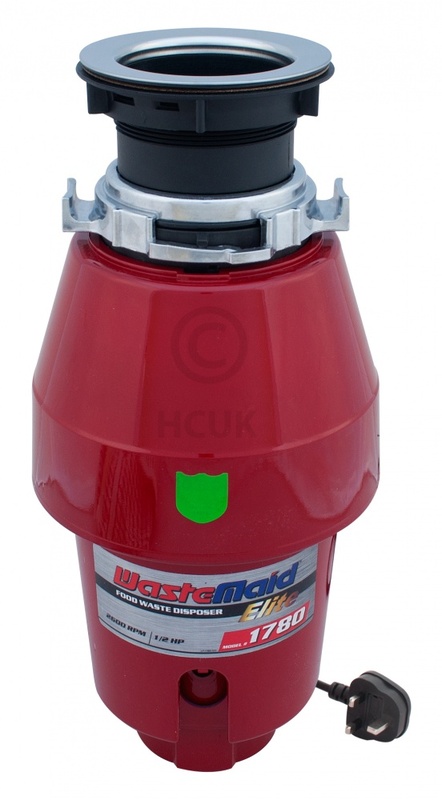 Compare the current WasteMaid 1780 model with discontinued models. 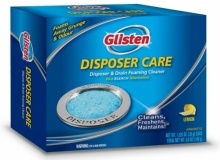 Please Note: WasteMaid warranties apply to normal private household use only and do not cover commercial usage. 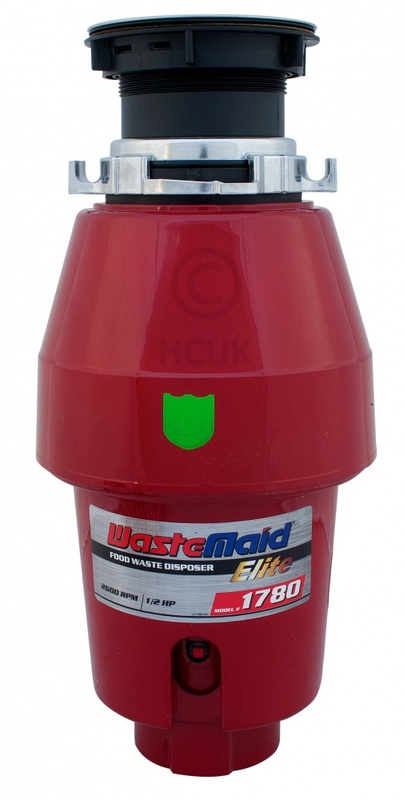 The WasteMaid 1780 is our best selling food waste disposer. Classed as a 'Mid-Duty Model' it will be comfortably suited in the average size home. 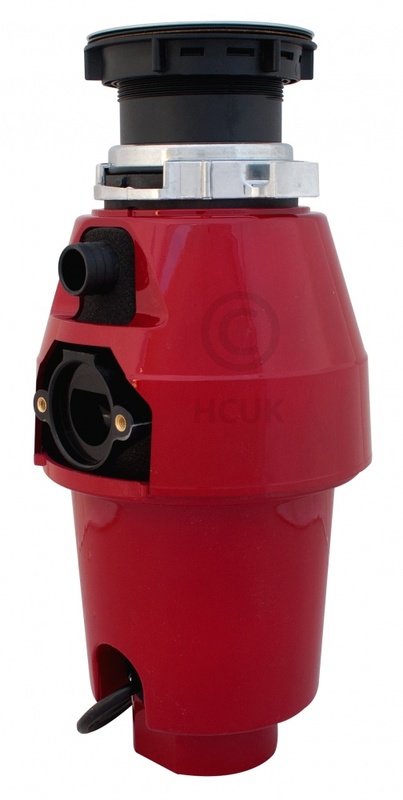 The main advantage of the 1780 model is the larger size grind chamber and Full Sound Insulation. 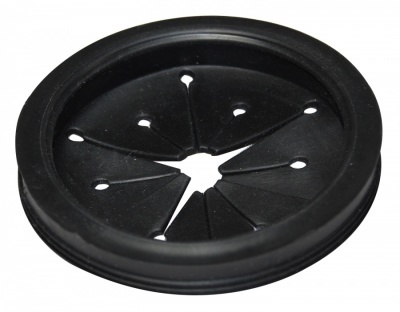 In basic terms, it is quieter and can handle more volume of food waste than the 1580 or 1680. 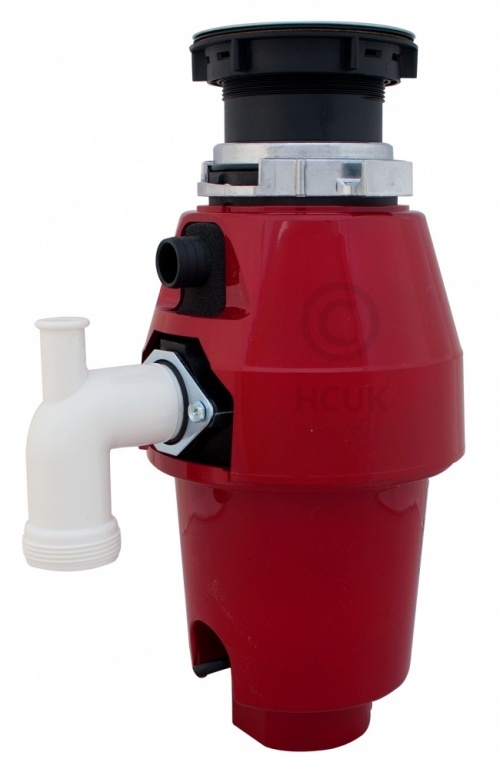 It is supplied with a 2 Year UK Warranty and as with all WasteMaid models has a lifetime guarantee against failure due to corrosion. 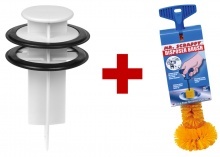 The Universal Plumbing Kit can help in installation (see Owner Manual / Warranty tab). 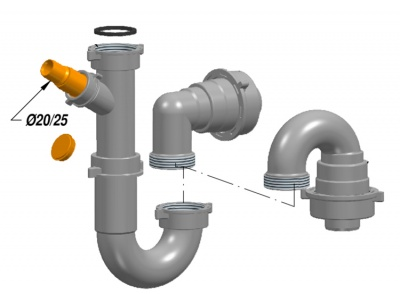 It has standard waste fittings and can be used with any waste disposer. If in doubt as to whether you need one, we always suggest to think about the cost of your plumber leaving the job to buy one or you having to re-arrange a second visit.